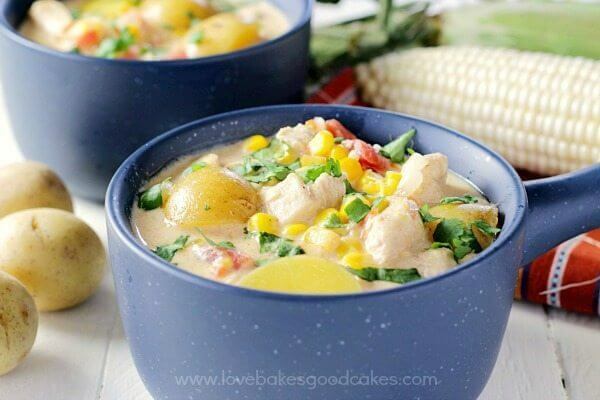 Your family is going to LOVE this Mexican Chicken & Corn Chowder! 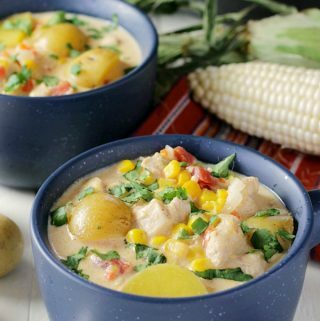 It’s full of potatoes, corn, tomatoes, and chicken in a slurp-worthy spicy broth! I may have mentioned a time or two that the past few weeks have been extremely busy for me. And really, “busy” has been a good thing for me because I think it has sparked that desire to get back into the parts of blogging I love – taking pictures, sharing recipes, and hanging out with y’all. 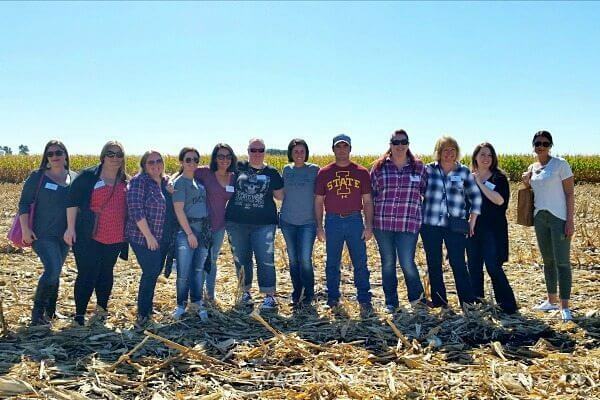 Back in September, I met up with some of my blogger friends for Iowa Corn Quest in Des Moines. We stayed at the Des Lux Hotel. The staff was awesome with our group and the accommodations were fabulous – I even had a fireplace in my room! 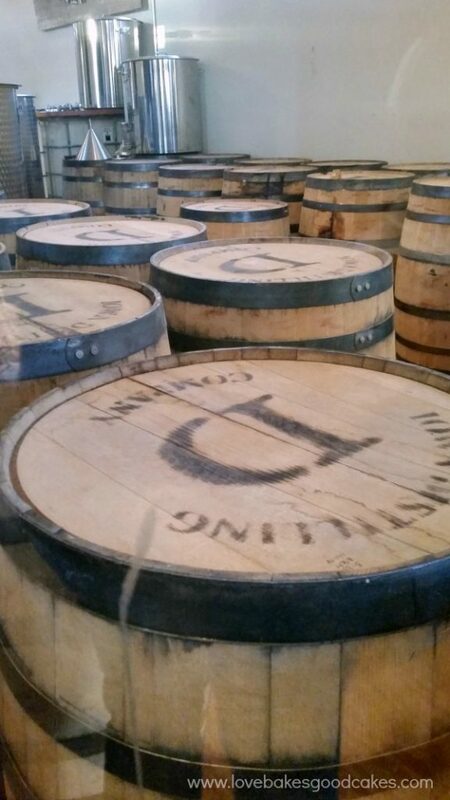 On our first night, we traveled to Cummings, Iowa and visited the Iowa Distilling Company for a few drinks and dinner. 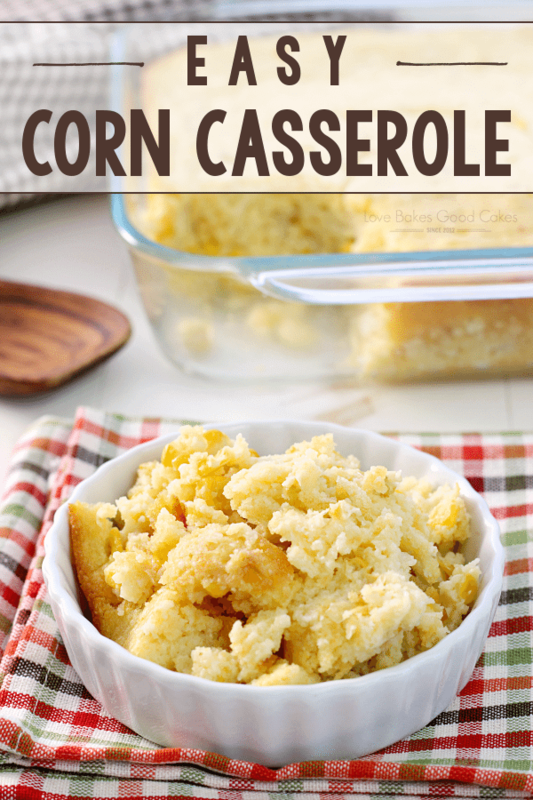 Dinner was delicious with each course featuring corn in various ways. It was a laid-back atmosphere and representatives from Iowa Corn were there to greet us and answer any questions throughout our visit regarding the corn industry. It was fun to not only hear about how corn goes through the distilling process to make alcohol – but to actually sample some of the products! 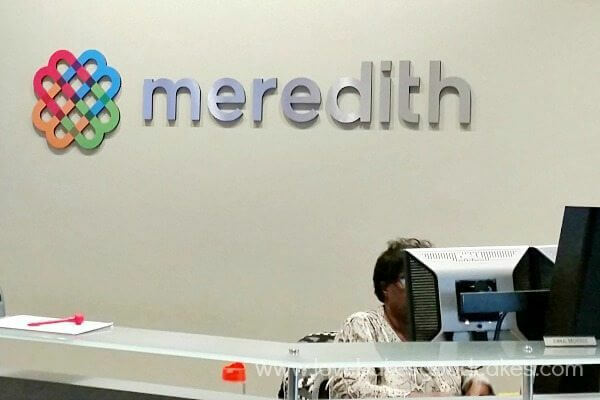 On the second day of our stay, we visited and toured the Meredith Corporation – the people behind some of your favorite magazines like Better Homes & Gardens, Allrecipes, Family Circle, and Eating Well. I have to admit that I was a little jealous of their backboard and props storage …. It was a bloggers dream come true! I need something like that in my house! 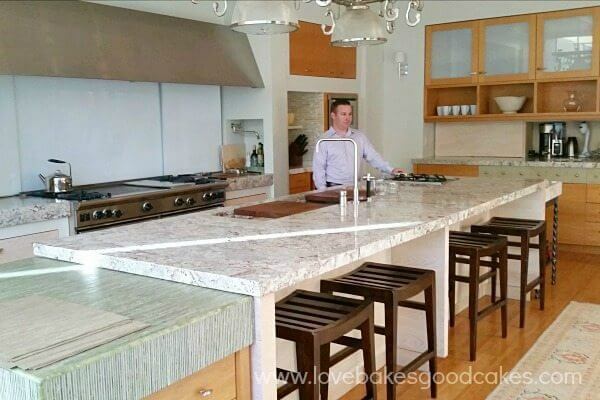 😉 And this kitchen … I need that, too! It was so fun to get a behind-the-scenes peek at some of the things I do here on the blog – but on a bigger scale. From there we traveled to the Blair farm for lunch and to talk about corn. I think one of the things that impressed me the most was learning that every part of the corn is used and seeing how passionate Iowa farmers are about everything from choosing their seeds to making sure they are doing what is best for the soil and environment, to how corn is grown and processed for consumption. I really enjoyed hearing first hand how sustainability and the environment are important to American farmers and how pro-active they are when it comes to doing things smarter and better, not just on their farm, but for everything from planting it in the ground all the way until it hits the market or processing facility. 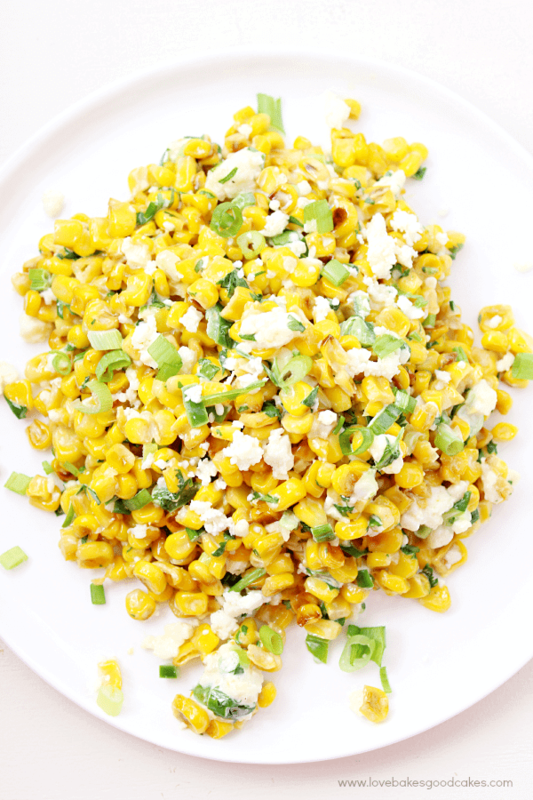 Most of us are familiar with the corn we eat – but the uses of corn extend so far beyond just eating it. 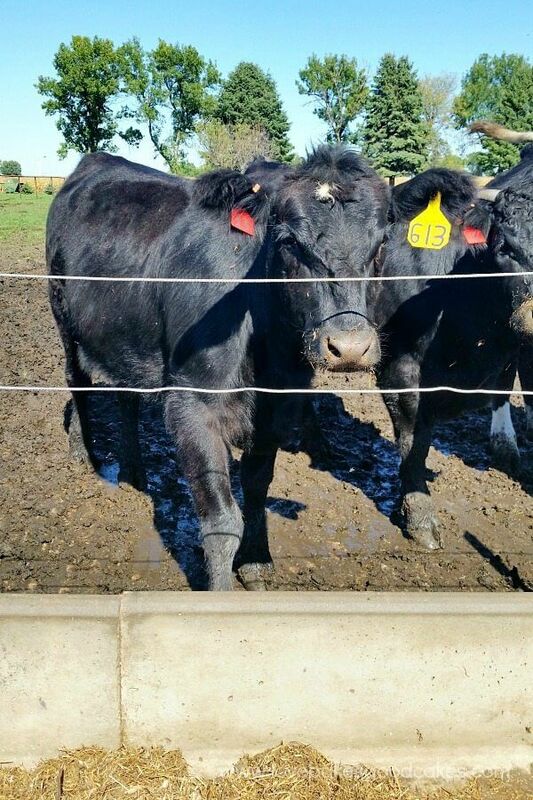 Corn is used to feed livestock, it’s in our cars and so many products we use in our homes that aren’t food! From the Blair farm, we traveled to the Kenney Farm. 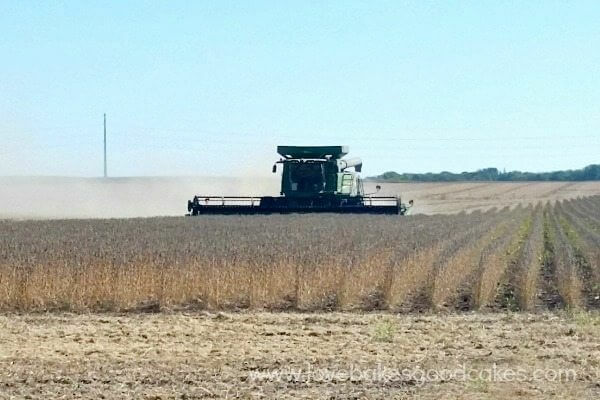 They were harvesting soybeans out in the field. We could see and hear the passion as he talked about growing up on the farm, cover crops, and how the farm community comes together to help those in need. 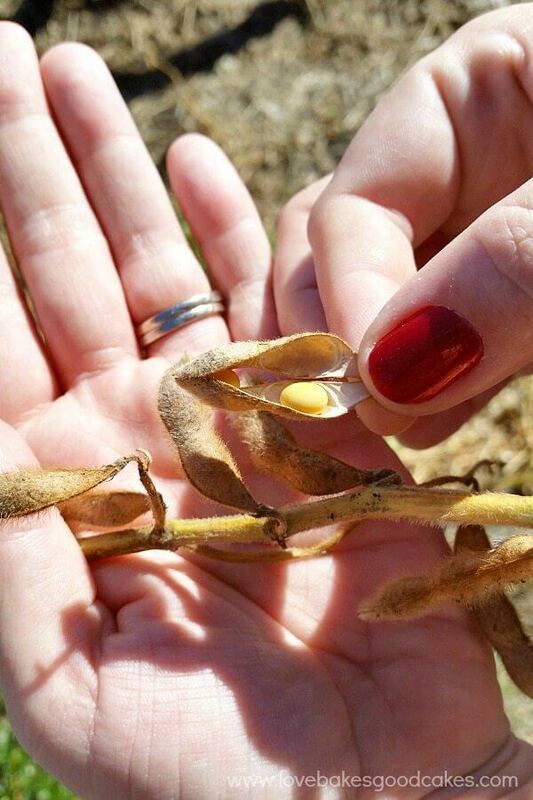 I was most surprised to hear that seeds used today make it possible for farmers to use fewer pesticides than years gone by. We returned to the hotel for a small break before heading to Iowa Speedway!! 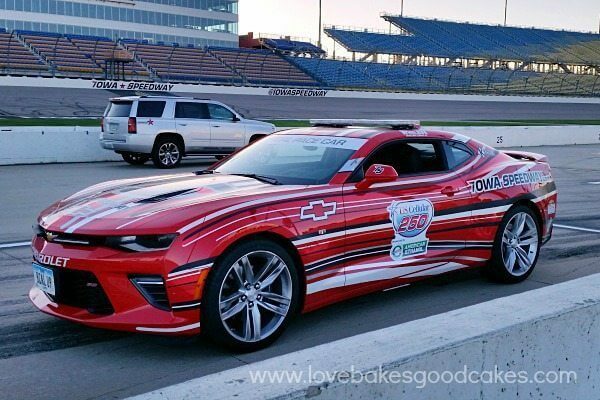 We got to ride around in pace cars (top speeds were 110-120mph) which was really cool. My dad is a HUGE race fan so it was fun to be able to Facebook live the ride and rub it in a little! 😉 After our rides around the track, we headed to one of the suites overlooking the speedway for dinner with the American Lung Association and Iowa Corn. We talked about how corn is helping the environment and the benefits of ethanol. We also spoke with representatives from the American Lung Association of the Upper Midwest. We took a little quiz to see how much we knew about clean air and I learned a few things along the way. Most of our time at dinner was spent talking with Iowa Corn and the American Lung Association about anything we had questions about. 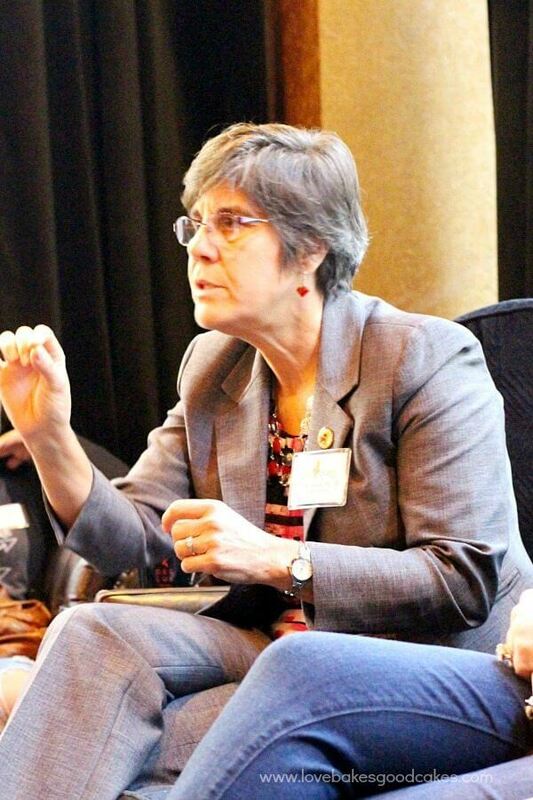 The third day started off with breakfast with Dr. Ruth McDonald, a professor at Iowa State University. I feel like our group could have sat and talked with her for hours about nutrition, GMO’s, and high fructose corn syrup. I was surprised to learn that GMO’s and high fructose corn syrup often get a bad rap but many times, those fears and bad reputations, are unfounded by science. I realized, as consumers, we really need to research reliable science-based sources for ourselves and be more informed. That’s a personal goal I’ve set for myself. Our final destination before departing home was the Des Moines Social Club where we had a cooking throwdown – Chopped style. Our group was split into 3 groups of four. All of the teams had the same mystery ingredients – mango, corn on the cob, and chicken livers …. yes, chicken livers!! 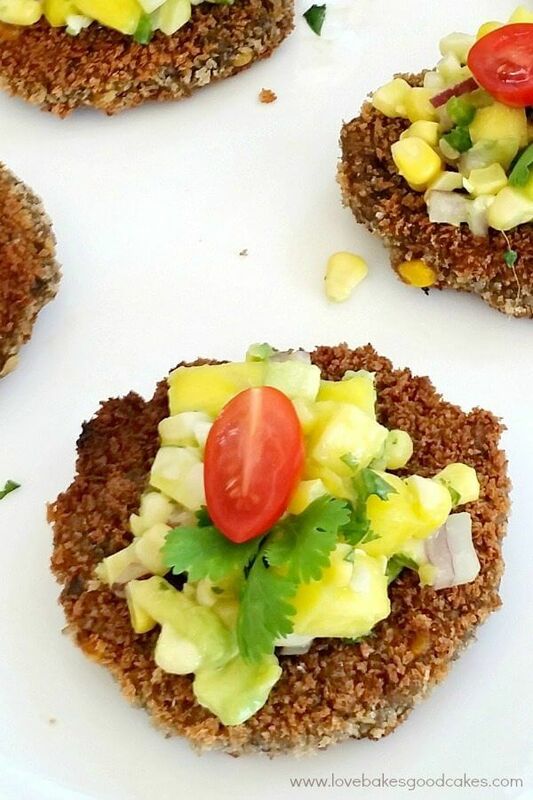 Sandra came up the idea to make Mexican-style patties with black beans and chicken livers and then to top them with a mango and corn salsa. I can’t say that I would ever eat chicken liver again – but it really was good in our little patties …. 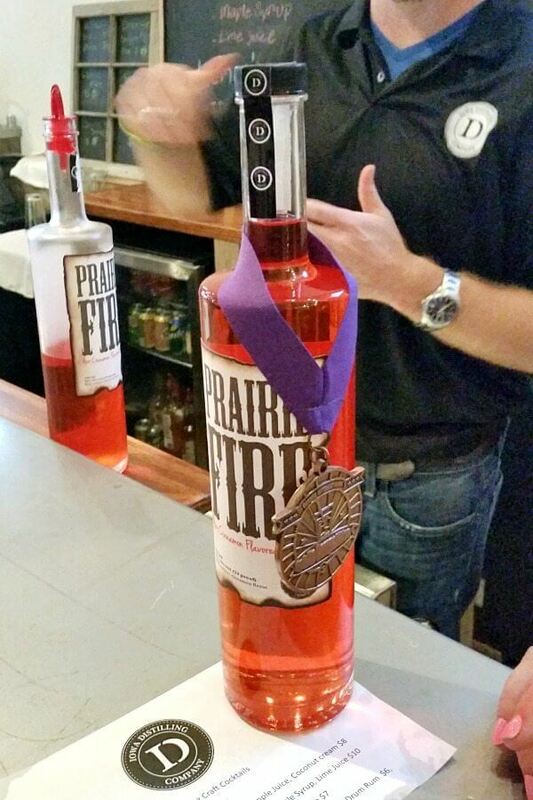 so good in fact – our team won the competition!! I came home to Arizona from Iowa with a greater appreciation for farmers and what they contribute to our food supply and country. 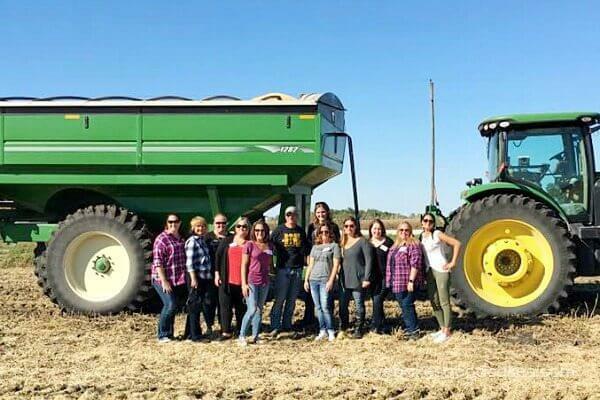 Thank you to the Iowa Corn Board and all of our hosts for the glimpse of American agriculture at work! 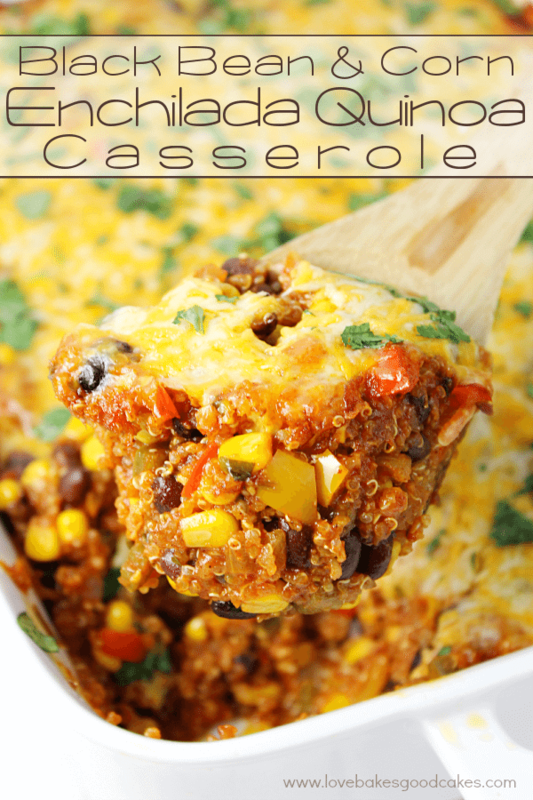 With all of the corn exposure, I came home and was inspired to create a dish featuring it! 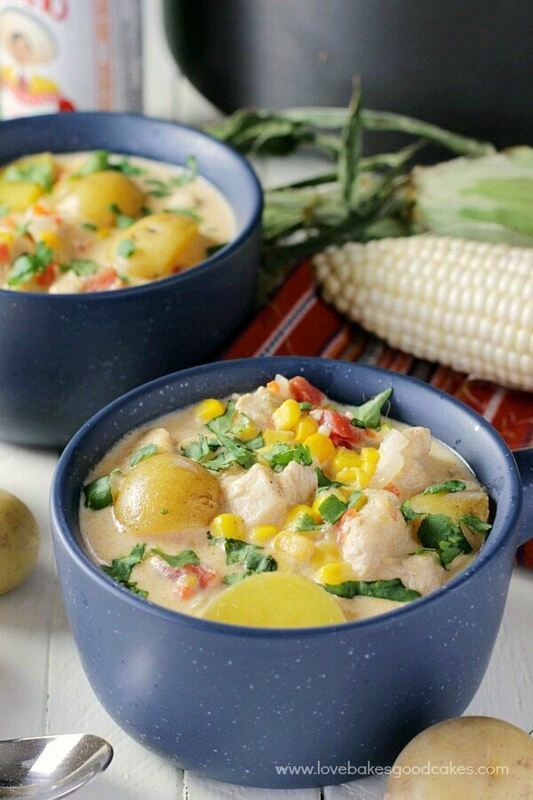 This Mexican Chicken & Corn Chowder is so simple to put together and it’s perfect for these cooler nights. In a Dutch oven or soup pot, melt the butter over medium-high heat. Add the chicken, onion, carrot, and garlic. Cook, stirring occasionally until chicken is no longer pink. Stir in the chili powder, cumin, salt, paprika, potatoes, cream-style corn, tomatoes, frozen corn, hot sauce (if using), and chicken broth. Bring to a boil, then reduce heat to medium-low and cover. Continue to cook for 10 minutes. 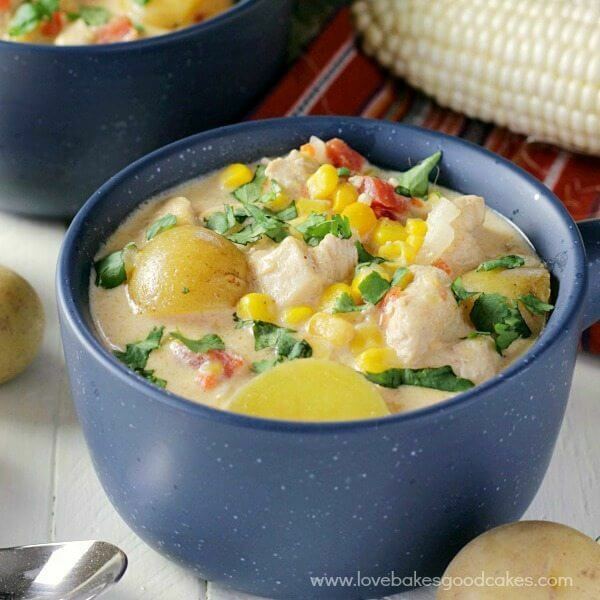 Stir in cream and continue to cook over low heat for 7-10 minutes or until the chowder is slightly thickened and the potatoes are fork-tender. Stir in the cheese, stirring frequently, until the cheese is melted. To serve, garnish with cilantro. What a fun trip!! 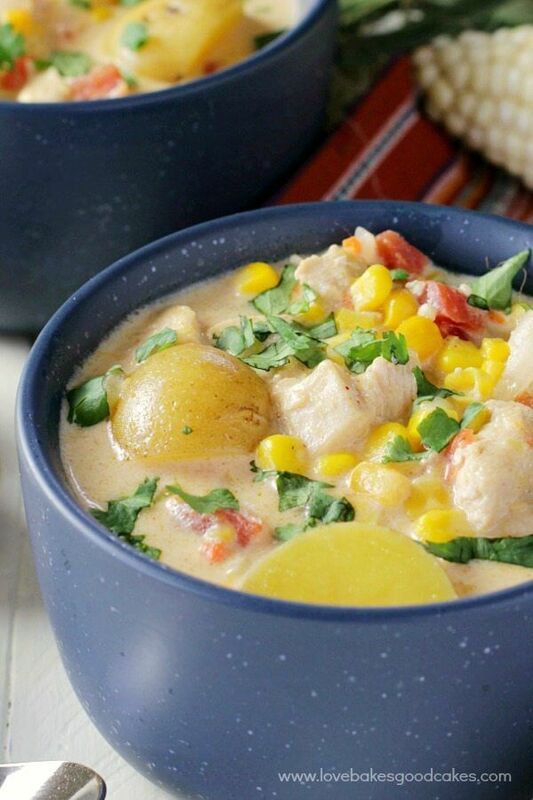 It sounds like a blast and this chowder would be the perfect thing to come home to on a fall day! Looks like a fun trip and this soup is right up my alley!